Parasakti Cement, an ISO 9001:2015 company, is a professionally managed organization focused on delivering consistent quality to its customers since 2005. Trusted across Telangana, Andhra Pradesh, Tamil Nadu, Kerala, and Karnataka regions, we supply OPC 43 and 53 Grade PPC and SRPC variants every year. Every bag of our Parasakti adds the much needed strength to your structure. 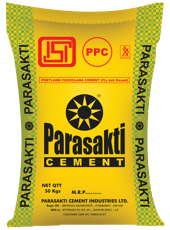 Since our inception, Parasakti has constantly implemented modern production methods to deliver superior quality products to our customers worldwide. 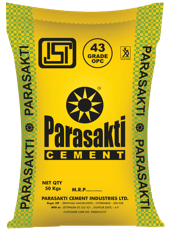 Our certified quality has its foundation laid in our labs where scientists conduct round the clock tests to ensure that every bag of cement surpasses your expectations.